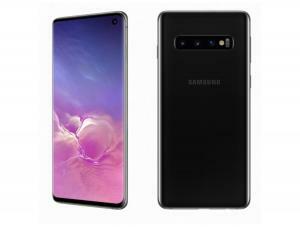 The S10 phones use Samsung's latest AMOLEDs, that are now HDR10+ certified, include an under-the-OLED fingerprint sensor (Qualcomm ultra-sonic) and cut-outs for the selfie cameras. Samsung calls these displays "Dynamic AMOLED" (due to the HDR support, probably) and "Infinity-O Display" due to the camera cut-outs. The GS120 starts at $749 for the GS10e, $899 for the GS10 and $999 for the S10+ (note: affiliate links to Amazon).